Sunday 22nd June, 9am Islington Park for a 10am start. Ride to Nobbys for fun and prizes. 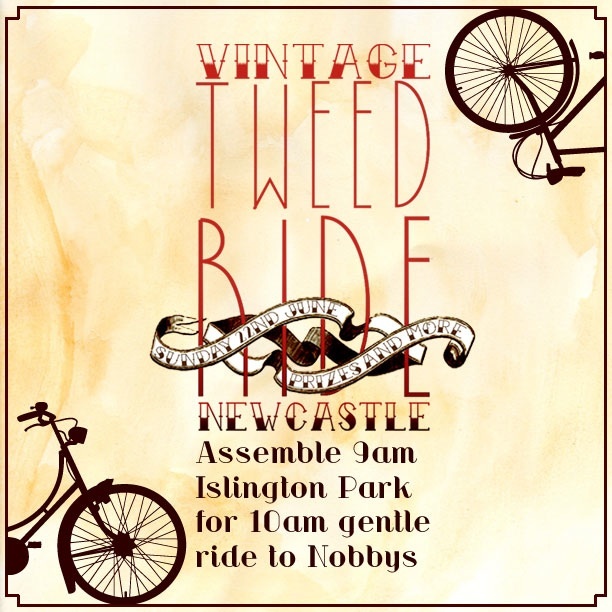 Wear a helmet and your tweed or vintage gear. See photos from last years Tweed Ride here. Bring your own picnic or purchase refreshments from Maudie Mac’s Travelling Teahouse.